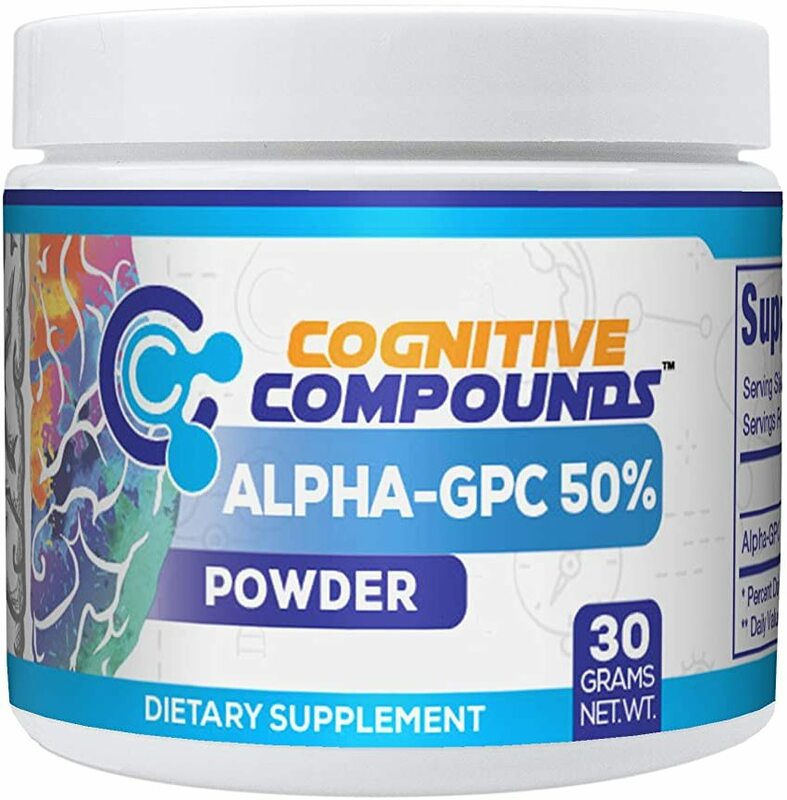 Alpha-GPC (L-Alpha glycerylphosphorylcholine, choline alfoscerate) is a nootropic -- a compound that enhances memory and other cognitive functions, known in the business as a "smart drug." 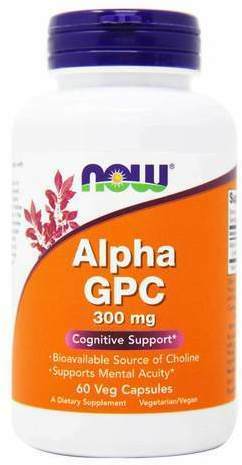 In technical terms, alpha-GPC is an acetylcholine precursor, which is being studied to determine its effectiveness as a treatment for Alzheimer's disease, dementia and stroke. In addition to its nootropic benefits, there are several otheradvantages associated with increasing consumption of cholinergic compounds, such as improved liver function, heart health, and even enhanced exercise performance when take pre-workout. It's likely that the technical terms associated with alpha-GPC are foreign to you. So let's review some relevant terminology. Choline Choline is anessential nutrient that is generally lumped in with B-vitamins. It is a precursor for acetylcholine. Acetylcholine Acetylcholine is a crucial neurotransmitter in the area of the brain responsible for memory andmuscle control. Cholinergiccompounds Cholinergiccompounds increase levels of acetylcholine in the brain. An acetylcholine precursor, they raise choline levels in the brain and give the body a greater substrate from which to produce acetylcholine. Produces the enzyme that forms acetylcholine (choline acetyltransferase). Inhibits the enzyme that breaks downacetylcholine (acetylcholinesterase). The supplement functions via the first of these mechanisms and elevates plasma choline levels faster and more effectively than other forms of the compound, such as citicholine. You should startseeing noticeable results shortly after beginning consumption. It can increase your ability to focus andmemorize information, which is useful for studying, due to its ability to increase acetylcholineand acetylcholine's effects on brain function. Taking a nootropic supplement in the morning can aidin focus throughout the workday. 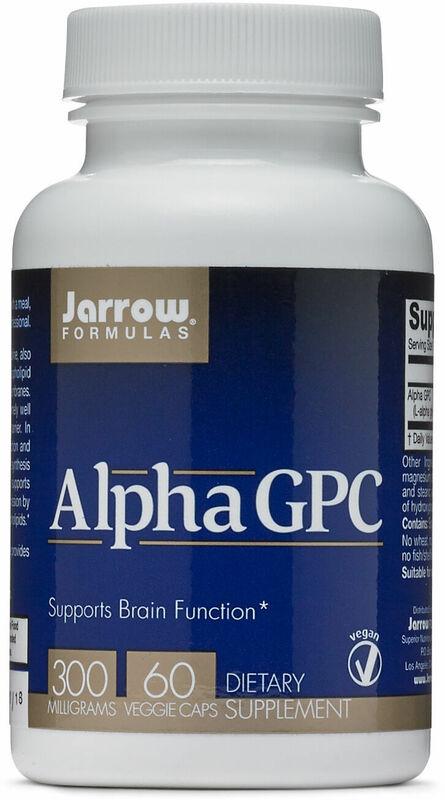 Alpha-GPC also increases the potency of muscle contractions due to itseffects on the peripheral nervous system. Begin supplementingat the recommended dose of 300mg once daily, and then move up to thetwice-daily recommendation, as stated on the label. Be mindful of other forms of choline in your daily supplementregimen (choline, citicholine, and soy lecithin, specifically). Limit yourdoses of alpha-GPC if you're consuming high doses of other cholinergiccompounds. You'll want to research a reliable product. A great example would be NOW Foods, a solid, no-frills and affordable source for many single-ingredient dietary supplements. You can consume cholineand alpha-GPC via natural food sources. Soy, dairy, eggs, liver, and green vegetables, specifically, typically containsignificant quantities of choline. Aswith any supplement, you should consult with your doctor before beginning a new dietary supplement plan. If your dose is too high, cholinergic compounds cancause headaches due to their vasodilatory effects on blood vessels in the brain. Imagine the vascularity you get after a high volume workout when you're taking a strongpump product. Now imagine that chemical reaction in your brain. Doesn't sound fun, doesit? For this reason, you should make sureto follow label instructions. 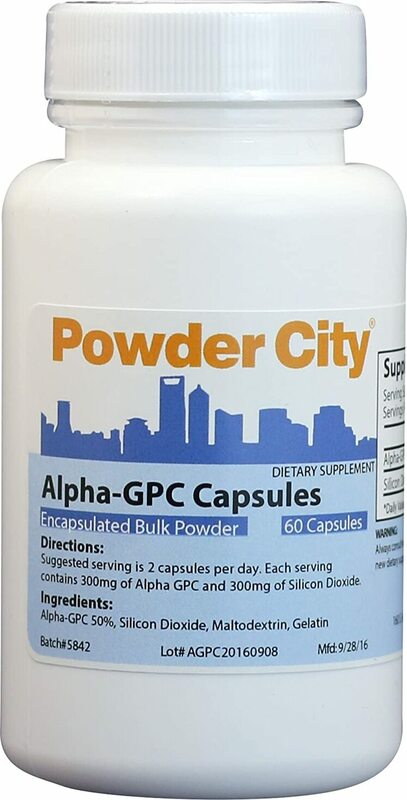 Beyond headaches, alpha-GPC is generally well-tolerated in humans,however every individual is different and if you experience any side effects, you should cease consumptionimmediately. If side effects persisttalk to your doctor. Be mindful of other forms of choline in your supplement regimen and limit doses of alpha-GPC if you're consuming other cholinergic compounds. Alpha-glycerylphosphorylcholine isa relatively obscure nootropic, and you will have trouble finding it adequately dosed, and at reasonable prices, if you're looking in brick-and-mortar stores. On this page you can compare prices from a variety of manufacturers and distributers. We'll point out the cheapest alpha-GPC supplements on the market. NutraBio's new flavor system, Strawberry Lemon Bomb, is SENSATIONAL, and is now available in more supplements! We speak with flavorist Michael Perez. NutraBio Alpha EAA Strawberry Lemon BOMB! NutraBio Alpha EAA: Essential Amino Acids + Nootropics! NutraBio Alpha EAA is an intra workout essential amino acid supplement with added nootropics and adaptogens for a performance and cognitive boost! Giveaway! Win the Most Epic Endurance Supplement Ever, PerformElite X by EndurElite! Epic Endurance Supplement Giveaway Time! Win @EndurElite's #PerformEliteX, the insane endurance training supplement with EVERYTHING you could ask for! 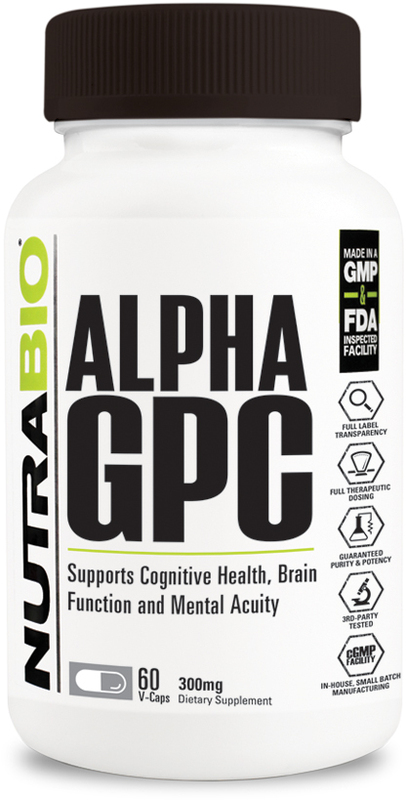 NutraBio Alpha-GPC contains 300mg ACTIVE Alpha-GPC in each capsule for increased strength and nootropic focus. It uses calcium phosphate as a carrier. NutraBio Alpha GPC was created. SNS Focus XT Nootropic | CANDY CORN Flavored Supplement Review! What's the best nootropic stack for beginners? According to expert formulator Shawn Wells, there's four stimulant-free nootropics you can start with! Cellucor C4 ULTIMATE On the Go Pre Workout Cans Revealed! Sparta Nutrition CogniKeto Review: Nootropic for Keto Dieters! The Genius Consciousness nootropic stimulant powder helps you achieve a higher state of being! Finally, The Genius Brand has a nootropic supplement! Sparta Nutrition Keto Pre Extreme is the ideal pre workout for keto endurance athletes looking to push harder and longer than ever, BHB salt included! NTel Pharma AREZ Mega-Update: When Two Gods Collide! NTel Pharma looks to dominate the pre workout market in 2018 with the release of Mega-AREZ, the pre workout that smashes TWO Gods of the Gym in one. Want pumps and focus while training without the stims? Try the nootropic nitric oxide fueled stim-free pre workout from Jacked Factory -- PumpSurge. WHOA - Check out the super nootropic supplement from Anastasis Nutraceuticals. Konnect will ignite your productivity and focus with 1200mg Alpha-GPC! 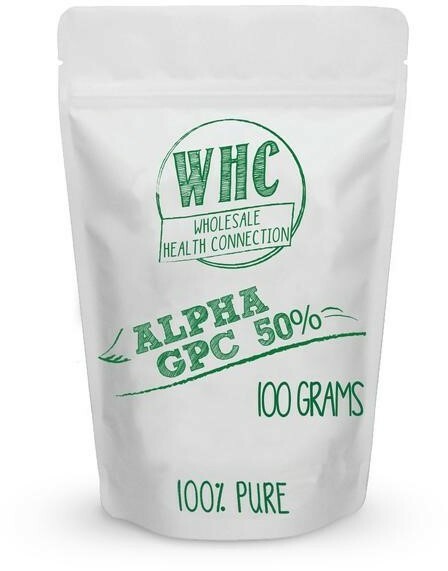 Wholesale Health Connection Alpha GPC 50% Powder was created. Choline Supplements: What’s the Best Form for Focus? 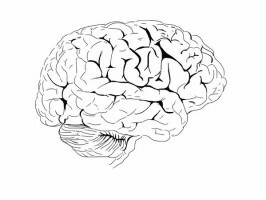 Choline is an essential nutrient that provides the backbone of the learning neurotransmitter acetylcholine; learn which form is best for your needs. EVL ENGN: Start Your Workout Engine at $0.80/workout! EVL ENGN is the brand's headlining pre workout that's all about the pumps, focus, and performance. AZOTH is a fully-loaded nootropic supplement developed to increase your motivation, focus, energy, and productivity. Lumonol is a popular nootropic supplement that may be great for memory, but can we build a better one for cheaper? We analyze the Lumonol Ingredients. Clenadol X is a true powerhouse fat burner from NTel Pharma that's packing DMHA AND Ephedra alongside thyroid boosters! Well rounded fat burner! 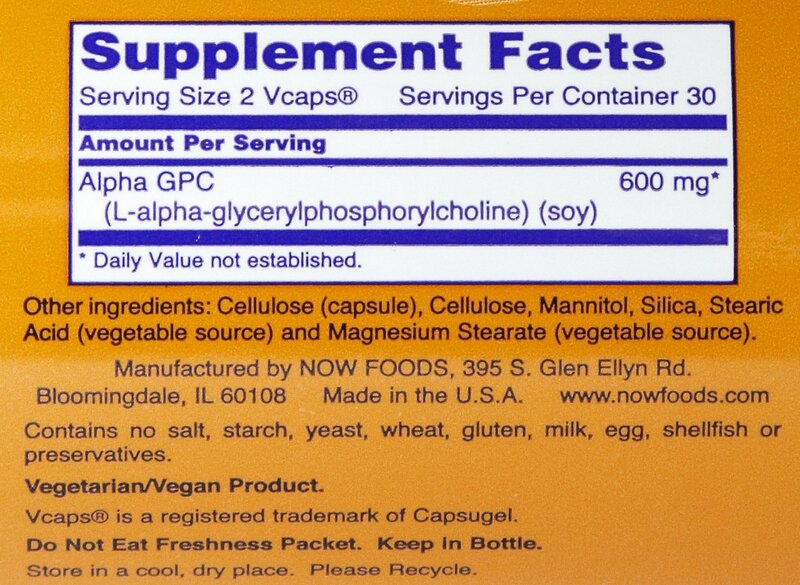 MPA Supps CelluVOL – Matt Porter’s Personal Pre Workout! MPA Supplements CelluVOL is the clinically dosed stimulant free pre workout developed by Matt Porter. Genius Pre is a clinically dosed, stimulant free pre workout that enhances focus but won't leave you feeling bottomed out from a rush of caffeine. Ghost has reformulated their headlining pre workout Ghost LEGEND -- it's now 100% transparent and significantly more powerful. Hype Extreme is a brand new stimulant free pre workout from Blackstone labs that significantly enhances pumps and focus. ATP Nutrition has crafted the ultimate performance enhancing pre workout in Perform Kinetics, and we LOVE it! Why? High-dose TeaCrine! Controlled Labs GAMER UP – Leveling Up Made Easy! Controlled Labs GAMER UP is a new gaming supplement that brings a serious dose of focus agents, but not too much caffeine. No more gaming jitters! C4 Ultimate: Cellucor’s Pinnacle Pre Workout! Cellucor C4 Ultimate is the *ultimate* pre workout experience from Cellucor that features a mostly transparent label and well-dosed pump ingredients. What's the best gaming supplement... for YOU?! PricePlow's latest guide steps you through shopping for gaming supplements. Look out for that MOD! RedCon1 Mental Trigger: Gamers and "spreadsheet athletes" listen up, the ultimate BRAIN gains supplement is here, and it's your new Mental Trigger. Divided Labs PREVIDE is a fantastic-looking pre workout supplement... but at two scoops. The question is, will that be worth it then? PricePlow digs. Blend from Northbound Nutrition is a clinically dosed cognition enhancing supplement perfect for work or working out. Maybe even a gaming supplement! Northbound Nutrition PINNACLE: The Pinnacle of Pre Workouts? The Pinnacle Pre Workout from Northbound Nutrition is a premium pre workout supplement that combines clinical and transparently dosed ingredients! RedCon1 Big Noise: Focused Bunker Busting Pump-Bombs! RedCon1 Big Noise is a stimulant-free pre workout supplement that will keep you FOCUSED even without the stimulants: The highest level of readiness! First Finisher is a new supplement company whose mission is to create CHAMPIONS. Their stim-free pre workout Champion Performance Powder will do just that! Olympus Labs ELIX1R is a focus and energy supplement that's great for everyone from the gym to the gamers. Everything we could ask for all in one! 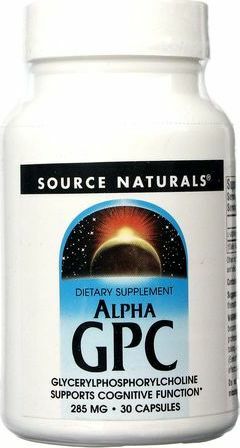 Alpha GPC for Strength CONFIRMED: 600mg/day for Legs! Alpha-GPC for strength CONFIRMED! A new study found that 600mg daily of Alpha GPC significantly improves leg strength, and possibly more! Olympus Labs TR1UMPH is an all new formulation muscle-builder that's retooled to be all natural for gains and recovery, based on phosphatidic acid! Rich Piana's Mentality is a cognition boosting supplement that contains virtually every nootropic and amino acid to elevate memory and mental function. Olympus Labs Conqu3r Unleashed Stim-Free: Loaded to the Gills! Conqu3r Unleashed Stim-Free is the Olympus Labs caffeine-free pre workout unveiled with 5 patented ingredients all clinically dosed. C4 Neuro is the latest incarnation of Cellucor's pre workout that packs a lot of the things you love about the standard plus of a potent nootropic blend. ALTISU PricePlow is back with a full in-depth review of Jacked Factory's fantastic pre-workout, Altius. Controlled Labs White Rapids – Feel the Rush! Controlled Labs White Rapids is a new pre workout supplement meant to replace the White Flood franchise. The ingredient label is open and looks great! Altius Pre-Workout by Jacked Factory: The G.O.A.T?! The Altius Pre Workout by Jacked Factory is an Amazon product that is absolutely LOADED and has tons of great reviews. We analyze the ingredients. SAN MegaTron is a stimulant-free pre workout supplement that has exciting doses of both nitric oxide boosters AND focus enhancers. And what a name! Sign up for future Alpha-GPC news! Click the button below to sign up for future Alpha-GPC news, deals, coupons, and reviews! Mar 23, 2019NutraBio Alpha EAA Strawberry Lemon BOMB! Feb 15, 2019NutraBio Alpha EAA: Essential Amino Acids + Nootropics! Oct 22, 2018SNS Focus XT Nootropic | CANDY CORN Flavored Supplement Review! Mar 14, 2018Sparta Nutrition CogniKeto Review: Nootropic for Keto Dieters! Subscribe for more Alpha-GPC news and alerts! Subscribe to PricePlow on YouTube or click the button below to sign up for our latest Alpha-GPC news and reviews! Sep 29, 2017Choline Supplements: What's the Best Form for Focus? Put your brain AND your body to work! $17.00 This is a Buy 1 Get 1 FREE offer! Jarrow brings the value and the quality to "smart drug" supplementation! $19.97 This is a Buy 1 Get 1 FREE offer!